Looking for a great place to visit? Eastern Ontario should be near the top of your list! It has a diverse ancestry including United Empire Loyalists, French Canadian, Irish & Scottish, so if you are a history buff, there are museums, historic sites and other heritage and pioneer locations galore. Visit the National Air Force Museum or wander around one of the national historic fortifications like Fort Henry or Fort William. The history even extends to the accommodations, with lots of gorgeous, quaint hotels and inns housed in historic buildings. Once you've soaked up the past, how about burning off some steam on the water? As home to the 1000 Islands and hundreds of freshwater lakes, canals, rivers, bays and sandy beaches, this is an incredible area to canoe, kayak, freshwater scuba dive, swim or take a scenic boat cruise to view the sites. It has some amazing caves too! It is also the location of some of the best whitewater rafting anywhere, with trips ranging from family style lazy rivers to rip-roaring, Olympic calibre, heart pounding rapids. Get wet and then head to the beach to relax and dry off! Don't forget about checking the event calendar as you're planning your visit. The area has a great range...from an outdoor Shakespeare Festival, to Canada's oldest annual heritage fair to vintage cars and mining! Click on the categories below for loads of summer fun listings in Eastern Ontario! 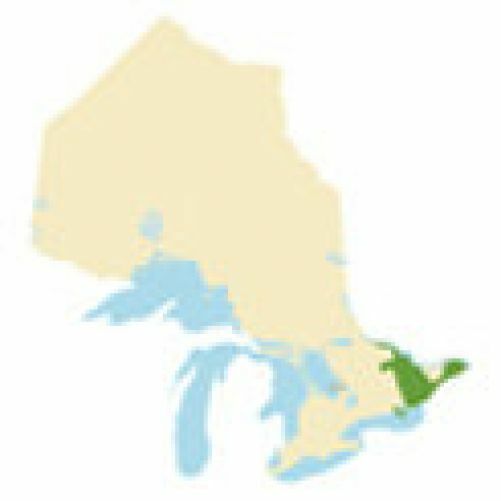 What towns and cities are included in the Eastern Ontario?